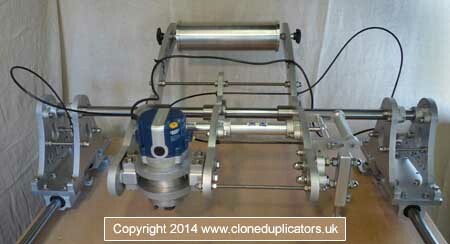 Designed for 88.9mm (3.5 inch) and 106.7mm (4.2mm) diameter round bodied routers. 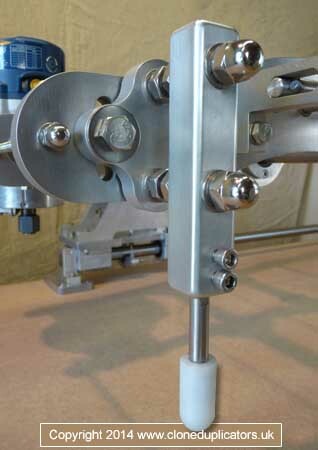 The router head can be adjusted to allow the cutter to finish vertical. Very handy for cutting channels etc. 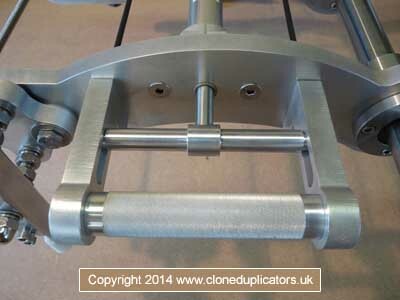 Fully adjustable stylus clamp for maximum accuracy and flexibility. When making deep cuts the router will try and kick back the router assembly. When applied, the ‘Anti-Kick-Back’ braking system ( fitted as standard to all machines ) will prevent this from happening. Thoughtfully positioned for comfort and balance. With its unique design both ‘Anti-Kick-Back’ brakes can be applied in unison. 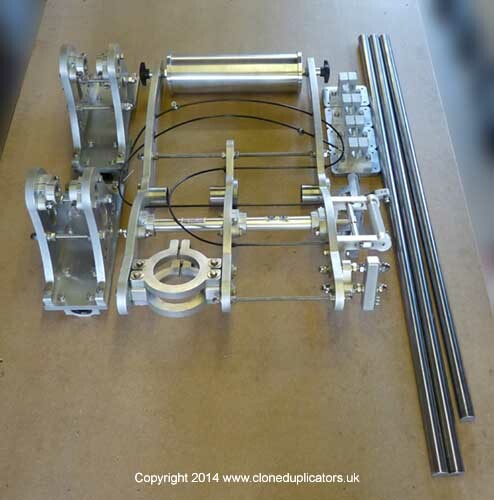 All Clone 3D machines are fitted with 30mm diameter bearings and rails. 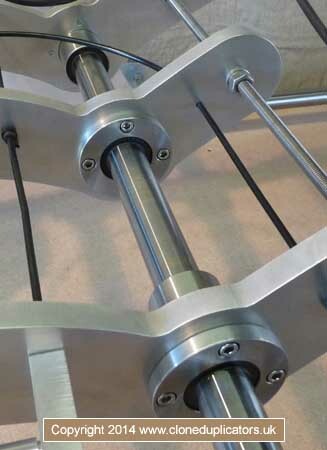 30mm linear bearings and rails for minimum flexing plus smooth and effortless operation. 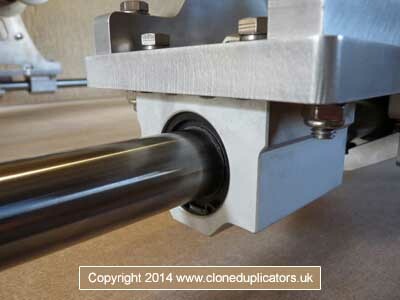 The main bearing rails are kept low to the work surface. This maximizes stability and keeps obstruction down to a minimum. The Clone 3D is fitted with a quick release counterbalance weight for fast and easy balance adjustment at any working height. 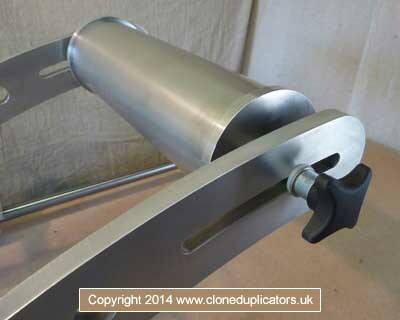 The counterbalance weight arms are also angled to give maximum clearance when carving. 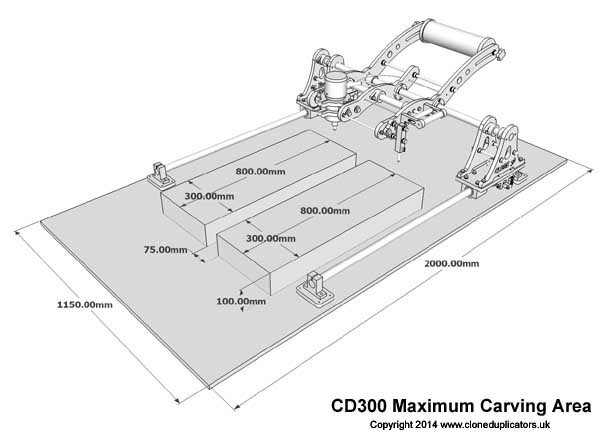 The Clone 3D is designed for a lifetime of use. 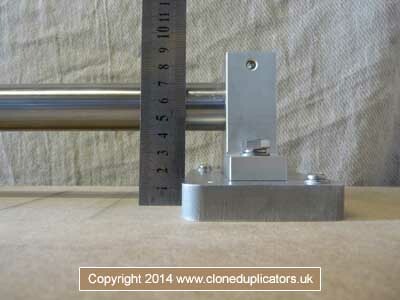 Made from precision cut 16mm thick 6082 aluminium. 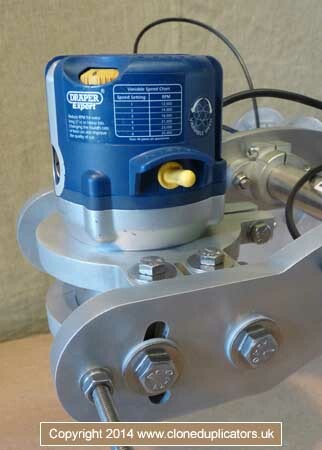 Stainless steel nuts, bolts, and washers are used throughout. 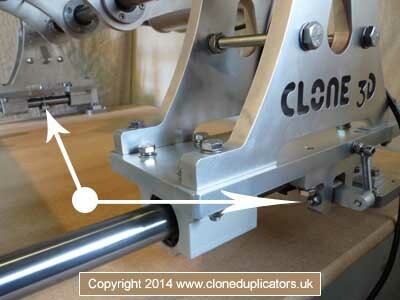 When not in use the Clone 3D can be dismantled quickly and easily for storage.